Juni 2018: Uitgeverij Regiobode bv (Dieren en Raalte), met de weekkranten Regiobode, Weekblad van Salland en Weekblad Dalfsen/Ommen en de daarbij behorende websites regiobodeonline.nl, sallandcentraal.nl en vechtdalcentraal.nl heeft besloten om om de volledige advertentie- en redactionele workflow weer te laten automatiseren door AdFactory-International. Regiobode gebruikte voorheen reeds de advertentiemodule van AdFactory, maar stapte eind 2017 over op Pubble. Omdat dit echter niet de gewenste efficiency opleverde, is besloten terug te gaan naar de software van AdFactory. Naast de advertentiemodule gaat ook RedaFact, voor de redaktionele workflow ingezet worden. Bovendien zal AdFactory-International ook de drie websites gaan vernieuwen, waardoor artikelen en banner-advertenties automatisch online gepubliceerd worden. Regiobode bv heeft een vestigingen in Dieren en Raalte. De weekkrant Regiobode verschijnt sinds 1997 en ligt iedere week bij 48.000 huishoudens op de deurmat in het gebied tussen Apeldoorn, Arnhem, Doetinchem en Zutphen. Het weekblad voor Salland, de Oprechte Dalfse Courant en Ommer Nieuws hebben een gezamenlijke oplage van bijna 50.000 stuks. AdFactory-International ontwikkelt en levert sinds 2003 modulaire web-gebaseerde software voor het automatiseren van workflows bij uitgevers van kranten en tijdschriften. Naast in Nederland zijn er uitgevers in Duitsland, België, Engeland en zelfs Nieuw Zeeland die de gehoste software oplossingen van AdFactory-International gebruiken. April 2016, Arnhem, the Netherlands – AdFactory-International is happy to announce that Sdu Uitgevers from Den Haag, the Netherlands, have selected the AdFactory advertising system for their print and online publications. The browser based software will be made available to Sdu as a hosted, Software as a Service, solution for the entire advertising workflow. It will also include the self-service portal AdOnline for ad booking and creation. Dedicated interfaces will be built to communicate with existing Sdu software systems to guarantee up to date, synchronised data across all platforms. 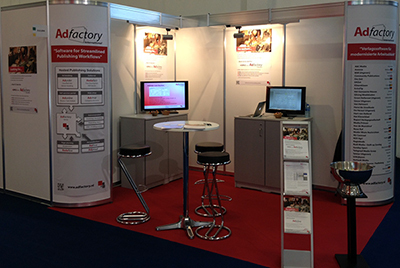 Sdu will use the AdFactory system for the entire ad management of their magazines, newsletters and websites. The implementation project is due to deliver a ‘Go Live’ end of September this year. Sdu was founded in 1814 as the “Algemeene Landsdrukkerij” (the official government publisher). It became a private company in 1988 under the name Sdu and was in 2013 acquired by the French Publishing house ELS (Editions Lefebvre Sarrut). Sdu has over 300 employees, and publishes a large number of magazines, websites and newsletters with up to date information regarding laws and regulations for financial, legal and government professionals. Sdu believes that progress is different for all our customers. Therefore Sdu won’t be guided by what is possible, but by customer’s needs; based upon this, Sdu develops flexible products, both online and offline that will help customers move forward. AdFactory-International, founded 2003 in the Netherlands, develops and markets advertising- and editorial workflow software for publishing companies. Initially targeted to medium size publishers of papers and magazines, it has now evolved to supplying flexible software solutions for print and online publications. Currently over 700 titles in the Netherlands, Germany, UK, and even New Zealand are published using AdFactory software. 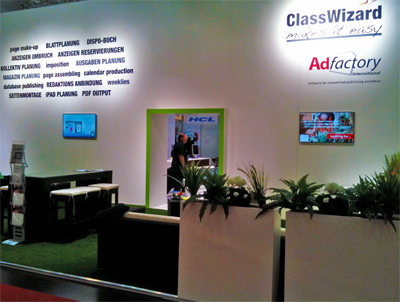 Our combined stand with Roxen at the IFRA World Publishing Expo Oct. in Amsterdam. The software of AdFactory International combined with that from Roxen offers a complete browser based publishing workflow for both print and online. * AdFactory Invoicing module, suited for digital invoicing. Our software is also online available on subscription base via our Hosted Publisher Service, HOPUS. Of course all these online modules are compatible with the iPad and other tablets! We are at the Publishing 360, Dublin, Ireland. We are at the P&ME Publishing & Media Expo at Earls Court, London! We are there! @ IFRA 2013 Berlin. 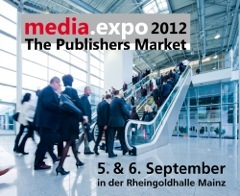 Come and visit us at media.expoin Mainz, RheinGold Halle! At the coming publish and mediashow in London, AdFactory International will be introducing a new CRM module to its existing ad booking&production software for publishers. Where the previous CRM module could handle all telephone contact moments and other agreements made with your customer, this new CRM module tracks all email communication, and assigns not only outgoing but also incoming emails automatically to the right customer. Because of the browser based nature of the AdFactory software, every user logged into the system with the correct rights, can view all communication with that specific customer, i.e. notes, agreements and emails, listed chronologically. Of course email-attachements can be handled as well so that a specific offer sent to the customer, can be found in a second. Also when the customer sends ad material, it can automatically be coupled to the ad booking and forwarded to the studio for production. Because of its high performance database, key-word search enables lightning fast results. AdFactory’s new CRM module gives a quick and clear overview of all communication per customer, so that every contact moment can be based upon the latest en up to date information related to ad selling and booking! Our booth at Media.Expo!! With a great scenic view across the river Rhine! Visit us at the Media.Expo 2012! Our stand at the IFRA EXPO 2011. New AdFactory installation in UK. The Sunday Sport, back now under new ownership, has ordered an AdFactory AdBooking System from PP Systems. The order includes automatic generation of PDFs for the lineage ads, automated ad layout and Ad Flow, Ad Factory’s production tool. The system which is web based is quick to configure and install and will go live end of August. The Sunday Sport is considering future expansion with AdFactory’s new Editorial System "RedaFact".